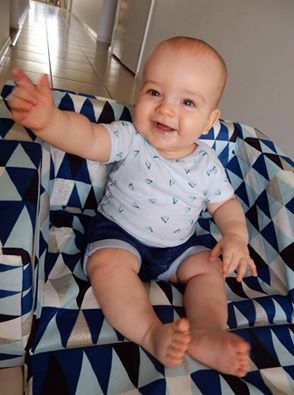 A Gold Coast couple who recently received the heart-breaking news that their baby son has cancer, are blown away by the support being offered by the GC community. 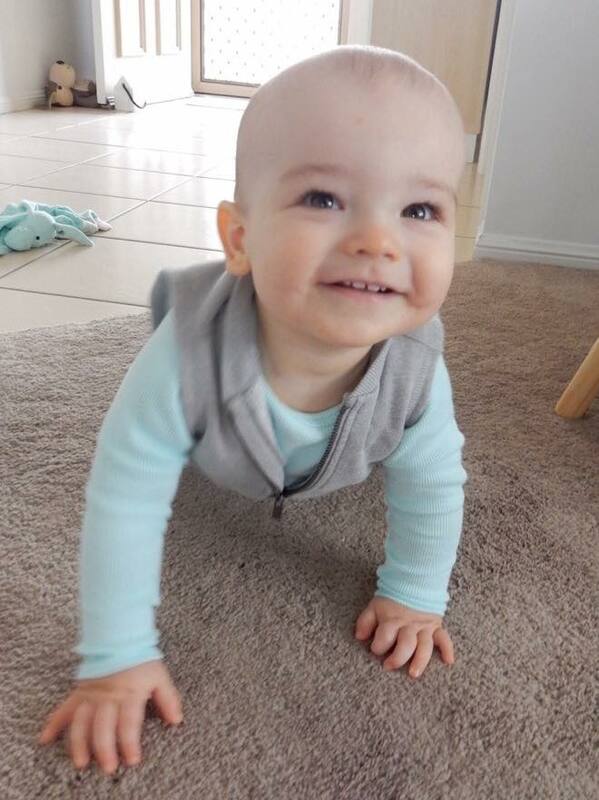 The couple, from Upper Coomera, were told last month that their firstborn, Blake, has a 12cm x 9cm tumour in his abdomen. 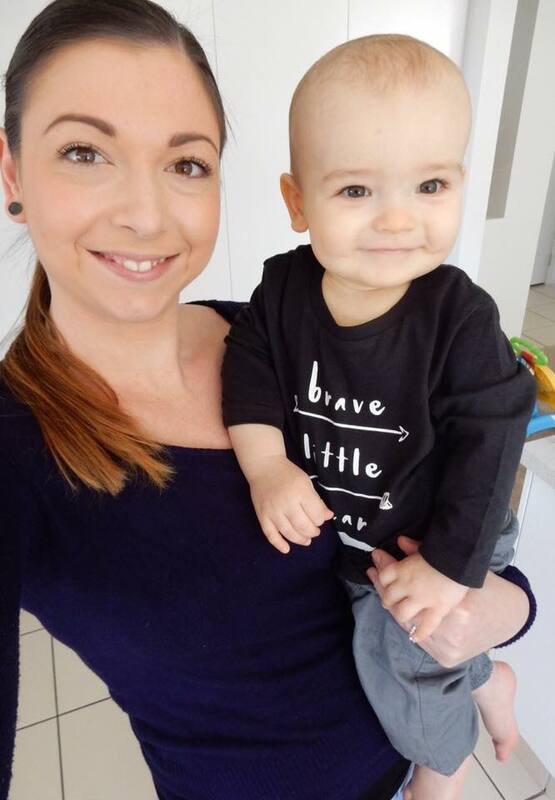 The tiny tot, now 11-months-old has started chemotherapy – this week undergoing a gruelling 5 rounds – with treatment to continue for at least another 42 weeks. 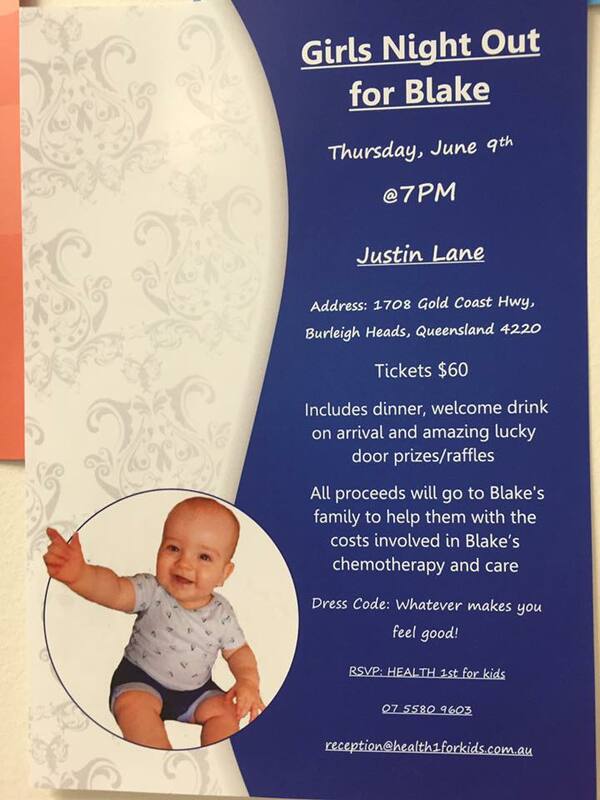 The community is rallying behind Bake and his parents Kylie and Chris, with a fundraiser planned for this Thursday 9th June, 2016 in Burleigh Heads – organised by staff from the medical clinic that referred the family to hospital to have scans done. 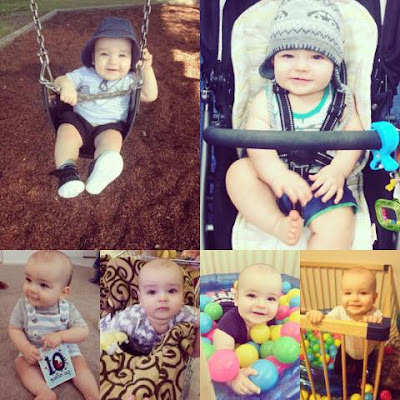 Blake’s Mum Kylie Neal told Gold Coast Mum.com the tumour was diagnosed on May 6th. “It was a normal morning at home when Blake was playing and pulled himself up to his activity table, then was suddenly hysterical! “He was crying and in a lot of pain. Due to him having reflux I initially thought he was having a flare up, or he is prone to wind. So I tried to help him using the usual techniques and nothing was helping. He cried like that for 20-30 solids minutes. Very unusual for him,” Kylie said. “Then, his breathing changed, he wasn't breathing properly, he went pale, floppy, unresponsive. Like he was passing out. I called the ambulance and they came and checked his vital signs. By the time they had got there Blake's pain had passed and he was back to normal again. "I then had an appointment with Shahn at Health 1st for Kids in Robina for that afternoon. We had seen Shahn before about my concerns with Blake's increasing pain/’reflux’ issues. She was concerned when I told her what had happened and wrote me a letter to go to the [Emergency Department] at Robina Hospital. Kylie said she had seen countless GP's and child health nurses and had “paid to see a private paediatric gastroenterologist only one month prior to the tumour being found”. “[I]was always fobbed off with the cause of his pain being ‘reflux’ and that he would grow out of it,” she said. “If it weren't for my appointment with Shahn that day a few weeks ago we may not have found Blake's tumour when we did. I don't know how to thank you but just know that I'll always be eternally grateful,” Kylie wrote to Health 1st for Kids on the fundraiser Facebook page. Shahn Horrocks Emergency/Paediatric NP and Co-director of Health 1st for Kids, who is arranging the fundraiser event, told Gold Coast Mum.com that on the day Blake was admitted to hospital, “he was a beautiful smiling baby boy who looked generally well but on this particular day when he presented we also knew something wasn't right”. “I assessed Blake and on this history knew he needed imaging as I was considering either a surgical cause or intra-abdominal pathology so I sent him immediately to the local Emergency department for an ultrasound. It was then that the 9x12cm rhabdomyosacroma was found - he was then immediately transferred to Lady Cilento children's hospital where further testing confirmed the diagnosis of the malignant tumour. “Blake is bound for 42weeks of chemotherapy - almost the length of his little life. Prognosis of this particular tumour is good however a lot can happen in 42weeks and infections are a major concern. He has already had 1x admission for neutropenia and fevers needing treatment with antibiotics. Blake is 4 weeks in to his treatment plan of 42 weeks. And is being looked after by Dr Wayne Nicchols of the Oncology team at Lady Cilento Children's Hospital in Brisbane. “Blake can have some of his chemo as an outpatient which allows us to come home some weeks. Although other chemo treatment requires us to stay in hospital – for example [this week] we are staying in for 5 days as he has chemo every day for 5 days,” Kylie said. “Although, we have been told to expect his treatment to take a year. It is early days as yet. He has already had a biopsy, bone marrow aspiration from his hip, a port inserted into his chest as well as countless tests/scans and rounds of chemo therapy. His treatment will also require surgery to remove the tumour and radiation as well as chemo,” Kylie said. Kylie said it has been an extremely hard time for the family - emotionally, financially, and mentally. “I was just about to go back to work in July. 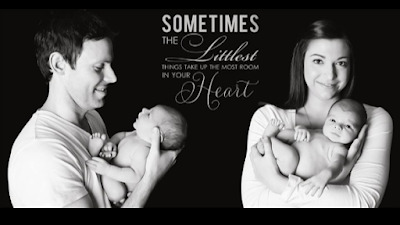 My maternity leave was finishing up, [and] has since ended so we are down to one income now. Chris has been able to take some time off work, so we've been able to go to the appointments together for now. His work have been really supportive but he won't always be able to come with us to Brisbane as he is supporting us financially,” Kylie said. Justin Lane Pizzeria and Bar, Burleigh Heads. All proceeds will go to Blake’s family to help them with the costs involved in Blake’s chemotherapy and care.